Want the Best Burgers in Dallas? Join us at The Nodding Donkey Pronto! Yall – our bun is not your standard sesame bun that you can get just about anywhere. Instead, we use fresh baked brioche buns that are soft and absolutely delicious to sink your teeth into! Oh – and don’t think you’re out on a bun because you have a gluten free diet? We offer gluten free buns too! Just ask your server. Each patty is made of 100% all-natural beef and then seared to lock in the juiciness. Our chefs know how to cook it just long enough to get that perfect medium-well patty for maximum flavor. Of course, each burger is made-to-order, so if you’d prefer it well done, we can happily oblige. We offer 3 amazing burgers, each with carefully selected fixins to make one helluva burger. Let’s start with the Saloon Burger. It’s your classic burger with kick, complete with spicy chipotle mayo, pepper jack cheese, and smoked onions. Want something oozing with flavor? The Mushroom, Onion, and Swiss is probably right up your alley. Enjoy your burger with sautéed mushrooms, perfectly caramelized onions, and all-natural Swiss cheese. And lastly, you can’t go wrong with the Bacon Blue Cheese Burger. Smoked bacon, blue cheese crumbles, and crispy onions make this burger positively delicious. But don’t take our word for it! What burger is complete without an order of fresh cut fries? Each burger comes with your choice of fries, potato salad, fruit, or side salad. So if you’re looking for the best burger in Dallas, join us at The Nodding Donkey in Dallas, Texas to see what you think of ours! Just don’t forget to order one of our ice cold craft beers to go with it. The Best Bars in Dallas Present Dallas Rosé Day! Rosé has skyrocketed in popularity the last few years, creating a sensation with it’s refreshing, easy drinkability and lovely hue. It’s become so popular that we’re creating an event dedicated to this fabulous wine. Mark your calendar now because The Nodding Donkey – along with a few of the other best bars in Dallas, Texas – is presenting Dallas Rosé Day, October 13, 2018! Dallas Rosé Day is a pub crawl of sorts, allowing you an entire day to drift from bar to bar, drink rosé, and have a great time with friends old and new. When you purchase your ticket, you’ll receive entry to all participating Dallas restaurants and bars (The Nodding Donkey, State & Allen, Playground Bar Uptown, Clutch Bar & Restaurant, Renfield’s Corner, City Council Restaurant & Bar, and more. Plus – your event wristband will get you $4 glasses of rosé wine all day, a commemorative glass, and more freebies. It’s going to be a whole day of fun that you won’t want to miss! In addition to the goodies during the day of the event, post photos and tag them with #DallasRoseDay to win more prizes after the event! Our judges will select the winners and reach out after the event. Dallas Rosé Day is going to be so much fun and you won’t want to miss it! Buy your tickets now by visiting here to reserve your spot. As the best sports bar in Uptown Dallas, we’ve got an eye out for the best whiskies, tequilas, vodkas, wine, and craft beers around. One of our new favorites is the Crooked Fox Bourbon Whiskey, founded right here in North Texas. What began as a master’s thesis project, turned into budding business venture and a decision to make the best bourbon whiskey around. We’ve come to love Crooked Fox for its smooth blend of whiskies, creating a balance and unique flavor. Crooked Fox blends are distilled and aged in America’s finest whiskey regions – Tennessee and Kentucky. What makes them unique is that each batch matures in wooden casks, and after that process is complete, each batch is carefully taste tested and blended based on the taste profile. The result: delicious, smooth flavors within each bottle, with hints of oak, vanilla, nutmeg, smoked maple, malted barley, and rye seeping through in each bottle. This distinct approach to bourbon whiskey has made Crooked Fox an award-winning brand, winning Gold and Silver medals the last 2 years in various competitions including the North American Bourbon Whiskey Competition, MicroLiquor Spirits Awards, and the International Wine & Spirits Competition, among others. $7 Crooked Fox Cocktails on Tuesdays! Interested in trying Crooked Fox bourbon whiskey? Sure, you can visit us any day of the week, but visit The Nodding Donkey on Tuesdays and we’ll sweeten the deal by offering $7 Crooked Fox cocktails all day long! Try it on the rocks or mixed in your favorite cocktail. We look forward to seeing you this week at The Nodding Donkey for a glass of Crooked Fox! NFL pre-season is just now gearing up, and it’s the perfect time to catch a game. And don’t forget Rangers baseball! We’ve got it all on at the best sports bar in Uptown Dallas – The Nodding Donkey! We know…It’s just too “peopley” out there. If you’re not in the mood to chat with anyone, it’s easy to snag a reservation or get food from The Nodding Donkey! Follow these simple steps and you’re well on your way to a delicious lunch, dinner, or brunch at the best sports bar in Dallas, Texas. Did you know that The Nodding Donkey has an amazing Dallas party room? The great thing about The Donkey is that we’re casual and completely flexible. You decide what types of food to be served, how to set up the room, whether or not you need AV capabilities, etc. – and our event team will handle the rest. If you’re interested in booking your next event in our Dallas party room, simply visit us here and fill out our online information request. After supplying a few basic details about your event, press “submit,” and one of our hostesses will contact you soon to iron out on the details. We’ll handle the heavy lifting so you are free to focus on your guests and enjoying the party. Order Online for Free Delivery! You’re in the middle of a big Netflix binge session, and you simply can’t bring yourself to stop for food. What do you do? You order food from The Nodding Donkey of course! Visit us here to get started on making your order. Delivery is completely free to zip codes within a reasonable distance from The Donkey, so it really doesn’t get much easier to get a delicious burger, tacos, salad, etc. from The Nodding Donkey brought right to your door. Whether you need to reserve an event, order food delivered to your home, or just want to check the menu, our website is your one stop shop! In case you haven’t ever heard about it, Pub Run is a fun local, Dallas event that visits a different Dallas watering hole each month. And for August, The Nodding Donkey is excited to be the pub of choice! So what does that mean? Read on to learn more about the August Pub Run at The Nodding Donkey! The August Pub Run will take place on Thursday, August 16, the 3rd Thursday of the month. Meet us at The Donkey at 6pm, run will start at 6:30pm, and we’ll go from there! So here’s the deal. The Pub Run is essentially a great way to gather with friends, socialize, get a light run in, and drink some beer (the first beer is FREE). Yes, the run is 3 miles long, but don’t let that deter you if you aren’t a runner! You are welcome to walk it or run/walk it – and again – there’s a FREE beer in it for you afterwards! Even the true runners keep the speed light and easy. We haven’t determined the route yet, but we’ll keep you posted. There will also be a raffle for some great prizes including a $20 Nodding Donkey gift card. When it’s all over, stay awhile and enjoy great Dallas drink specials (think handcrafted cocktails and ice cold craft beer) along with some delicious food! 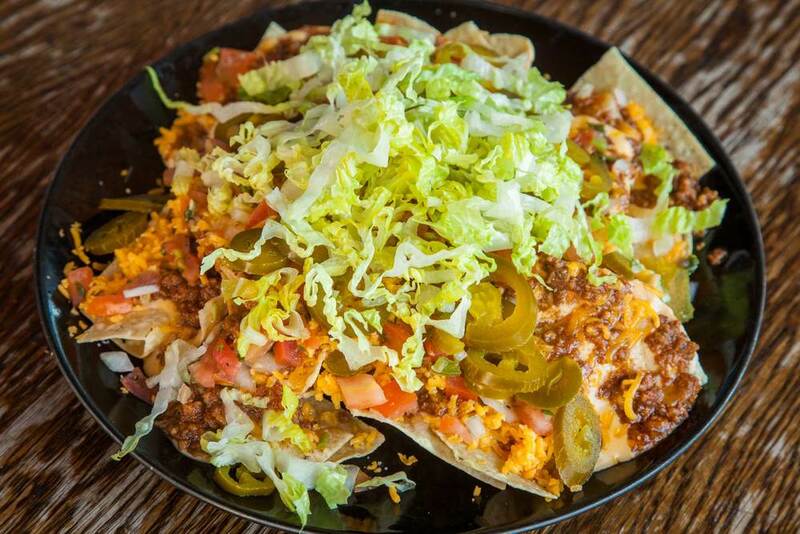 Delicious Tex-Mex, salads, sandwiches, burgers, and more – The Nodding Donkey isn’t your typical bar food. The Pub Run at The Nodding Donkey is $10 if you register online now – or $15 at the door. The August Pub Run at The Nodding Donkey – conveniently located at the corner of Thomas St. and State St. - is sure to be a fun time with friends old and new! Register now to reserve your spot! It has been 4 years since the last one, and frankly, we’re pretty stoked it’s back! If you are a soccer fan – or even if you’re not! – visit your favorite Dallas sports bar (The Nodding Donkey for course!) to catch all the action. When the games are on, you can guarantee we’ll have our TVs set to watch! The tournament – pitting 32 of the nations best soccer teams against each other – began last week and will run into the middle of July, with the final being played on July 15. While the United States is sadly absent this time around, there are still many great teams to get behind. Brazil is currently the favorite to take it all (which would be the 6thtime they’ve won), but you just never know what can happen. We wouldn’t be the best sports bar in Dallas, Texas if we didn’t offer drink specials! Visit us any day of the week to get discounts on all your favorites. Our drink specials change daily, but we have a wide selection of ice cold craft and domestic beer, wine, handcrafted cocktails, bourbon, and more to suit your fancy. And on Sundays this summer – it’s $20 buckets of Miller Lite time! And while you’re watching the big game, order an entrée or a starter to munch on. The Nodding Donkey takes the term “bar food” to a whole new level, using gourmet ingredients and scratch kitchen techniques to whip up only the best. Whether it’s a burger or you’re here for our amazing brunch, expect the best. So who are you rooting for? 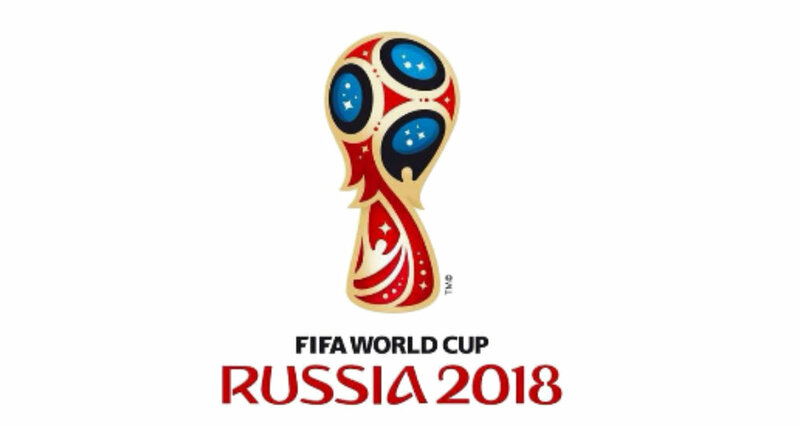 Join us at The Nodding Donkey in Dallas, Texas for the 2018 FIFA World Cup! We’ll save you a seat! Dads can be hard to shop for. They already seem to have all the sporting equipment, ties, and gadgets they could ever need, but yet, you want to do something special for them. Here’s a little hint: instead of another tie, why not take Dad out for brunch at The Nodding Donkey! Each Saturday and Sunday, The Nodding Donkey serves up one of the best brunches in Uptown Dallas. Join us between the hours of 11am and 2pm to experience all that our Dallas brunch has to offer. So here’s one of the reasons Dad is going to love our summer brunch at The Donkey: $20 buckets of beer. Yes – you read that right! All summer long, you can get a bucket of Miller Lite for just $20 during our weekend brunch. Other specials available include the $4 Bloody Marys and $4 Mimosas. Come hungry, because our brunch servings are generous! The delicious Eggwich on a buttery croissant, Backyard Benedict, Brisket & Scrambled Egg Breakfast Tacos, or eggs just the way you like ‘em….The Nodding Donkey has your brunch hook up. Can’t Schedule Brunch? Give a Gift Card! If you’re having trouble finding time to schedule brunch with Dad, then give him the next best thing: a gift card to The Nodding Donkey! He can enjoy our delicious brunch on his time – or come in and watch a game for lunch, dinner, or just drinks and apps. Dad will feel so special knowing you skipped the big box store gift card and gave him something a little more personal. Bring your Dad and join us this coming Sunday, June 17, for brunch at The Nodding Donkey in Uptown Dallas, Texas! We’ll have a table waiting for you. Dallas Lunch Specials to Get You Through the Week! Ever wondered where you can eat something better than fast food that isn’t going to break the bank? Move over fast food: The Nodding Donkey has the best burgers in town! Juicy and delicious, it’s tough to decide whether you want the Saloon Burger, Bacon Blue Cheese Burger, or the Mushroom, Onion, & Swiss Burger. Each one is just $7.95 and comes with a side of your choice and you can even specify gluten free buns if you’d like! While it’s hard to pass up the mighty Silver Bowl Salad, the Mediterranean, Miso Tuna, Texas Cobb, and Texas Baja are also wonderful salad choices. Choose one of your homemade dressings and you’ve got a gourmet salad on the cheap. If you’ve ever had our buffalo wings at The Nodding Donkey and loved them, then don’t miss an opportunity to get the Buffalo Chicken Sandwich at a great price! Chicken is grilled or fried – your choice! – then tossed in our signature sweet cayenne sauce and served on a spongy brioche bun. Of course, blue cheese dressing is also on the side. Not many places where you can get fajitas this good for this price! 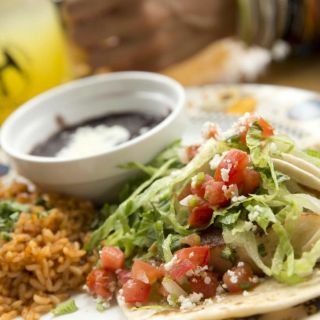 Order a margarita or craft brew, then enjoy our flavorful fajitas to kick the weekend off right. Who can resist crispy, crunch chicken strips? And at a price this good, why should you?! Each is rolled in 9 herbs and spices; fresh cut fries are served on the side. Visit us at The Nodding Donkey this week and say no to overpaying for lunch! We can’t wait to see you at the best lunch spot in Dallas, Texas! Join The Nodding Donkey for a Kentucky Derby Watch Party! Cinco de Mayo takes on new meaning this year as the Kentucky Derby will fall on May 5 this year. And as the best sports bar in Dallas, we love celebrating all sports – including horse racing! 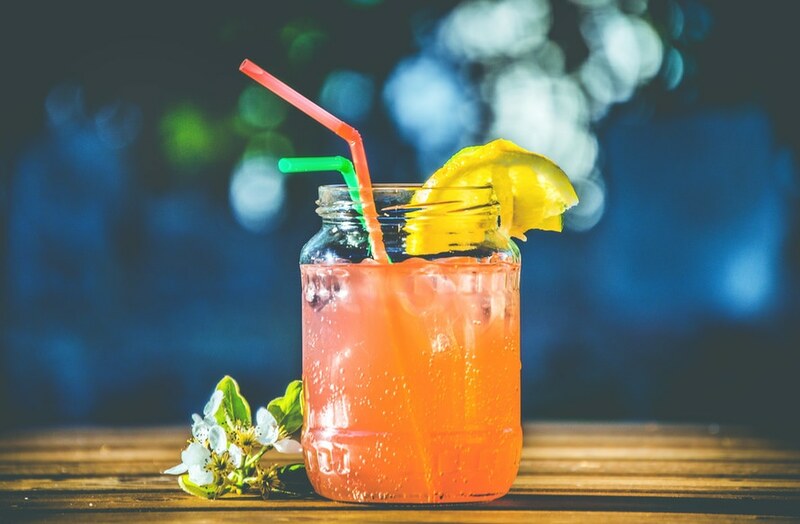 Whether you’ve placed your bets on a favorite, enjoy mint juleps, or are just here for the fancy hats and fanfare, join us on May 5 at The Nodding Donkey for an epic Kentucky Derby Watch Party in Dallas, Texas! Start your day with Dallas brunch at The Nodding Donkey from 11am-1pm, complete with Dallas drink specials including $4 Mimosas, $4 Bloody Marys, and $5 Mint Juleps in honor of the Derby. Of course, you pair these delicious drinks with a Backyard Benedict, Eggwich, or our delicious Brisket and Egg Tacos and you’ve got a match made in brunch heaven! Even once brunch has ended, you can count on The Nodding Donkey Uptown Dallas to have some amazing drink specials for the Kentucky Derby! Mint Juleps are just $5 until 7pm, and we’lll have craft beer specials and more as well. Are you a member of the dating application, The League? If so – your Derby Party dreams have come true because we’ll have specialty pricing on multiple food and drink items just for you! $5 cheese fries and $5 Crown and Peach shots are just a few of the delicious offerings. This event is not sponsored by The League, but we know many of you are planning to come out to this fun event! You will need to show proof of the app on your phone to receive the deals. Show us your brightest colors and your flashiest hat! Come in your best Derby Day attire, as we’ll be hosting a contest for best dressed. The winner will receive a free one year membership to The League, a premier dating application (valued at $349!). Are you as excited as we are for the Kentucky Derby?! Join us May 5 at The Nodding Donkey for our Dallas Kentucky Derby Watch Party! Here’s a scary thought: you’ve got approx. 1 month until Memorial Day Weekend and the official kickoff of summer! Is your body…errr…ready?! The Nodding Donkey is a Dallas scratch kitchen after all! Whenever possible, we take the time and care to use fresh ingredients to make delicious meals that just taste better. Our salad dressings are no exception! Each dressing is made in-house, using only the best gourmet ingredients. It’s a difference you can taste! Oh – and there are a ton of options: ranch, red ranch, blue cheese, honey mustard, Balsamic, mango, Caesar, or the every popular champagne vinaigrette. These aren’t your run-of-the-mill salads! If you thought those dressings sounded good, then just listen to the salad choices! Texas Baja with Southwestern influences, the Greek Mediterranean salad, Miso Tuna, Cobb Salad, and of course the famous Silver Bowl Salad are all delicious choices. No matter what mood you are in, we have a salad that is not only healthy – but full of flavor. Visit us here for the full menu. We know it’s hard to stick to a gluten free diet when eating out, that’s why it’s important to us that each of our salads can be gluten free upon request. Simply let your server know you are gluten free, and we will make sure your order is prepared that way – simple as that. Get your daily dose of nutrition and healthy eating without packing on the calories! Our salads are filling, so you’re not going to feel the hunger cravings an hour after eating and set yourself up to binge on that chocolate cake your coworker left in the break room. Ready for the best salads in Uptown Dallas? Join us at The Nodding Donkey! Opening Day was this week and we’re pretty excited to ring in spring with America’s pastime. Each burger is made with fresh with 100% all natural beef patties. We sear each one and cook it medium well, creating the perfect balance of a juicy burger and beefy flavor. Don’t like your burger medium well? No problem! Each burger is made-to-order, so ask your server to cook it just the way you like it. The bun is a critical part of the burger and we only use the freshest, homemade brioche buns. They are spongy and toasted, creating the perfect balance of crunch and softness. It’s just one of the things that makes our burgers some of the best burgers in Dallas. · Saloon Burger: Smoked onions, pepper jack, and chipotle mayo. · Mushroom, Onion, and Swiss Burger: Sautéed mushrooms, caramelized onions, and Swiss cheese. 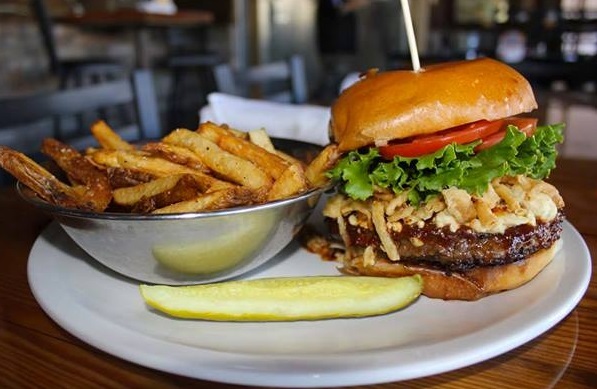 · Bacon Blue Cheese Burger: Blue cheese crumbles, bacon, and crispy onions. While we have some Dallas gourmet burger options on the menu, it’s totally up to you if you want to change it up! Lettuce, tomato, onion, mustard, etc. – tell us what you want! On a celiac diet? We have gluten free bun options – simply ask your server. It’s hard to pass up our fresh cut French fries, but if you’re looking for something different, you can also order a side of potato salad, the house side salad, or fruit instead. Lots of options just for you. So with baseball season in full swing, it’s time to join us at The Nodding Donkey for baseball and the best burgers in Dallas, Texas! Just don’t forget a glass of ice cold draft beer to go with it!